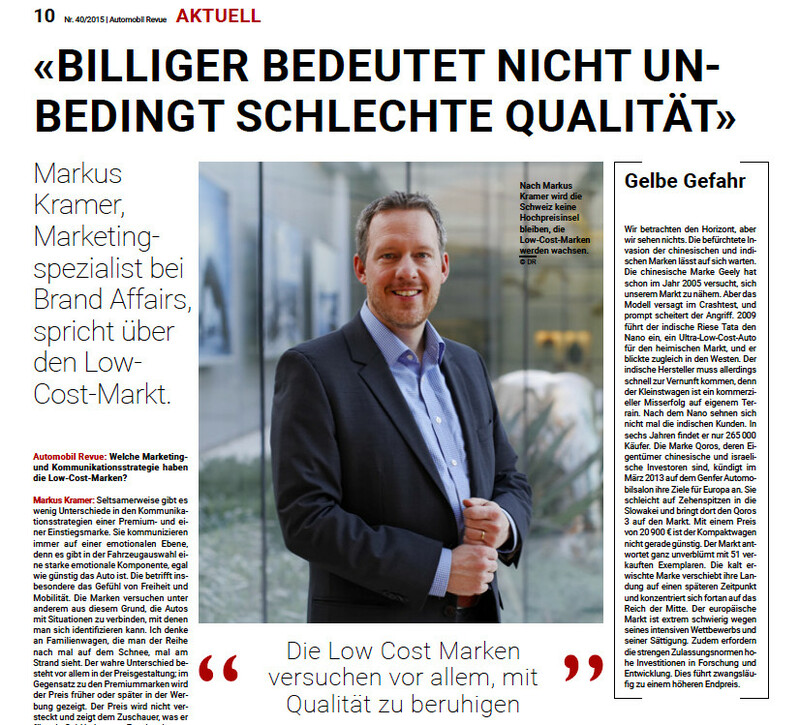 In a recent interview with Automobil Revue, Markus Kramer has shared his thoughts and analyses about the low-cost car market. Something surprising at first glance: there are only a few differences in communication strategies between premium and low-cost brands. In both cases, advertising focuses mainly on a purely emotional level. The differences, according to Kramer, mainly affect the communication of the price and rational factors that influence the purchasing decisions. By offering guarantees and free maintenance services, low-cost brands don’t only communicate added value, but above all legitimacy. Because from a consumer’s point of view, differentiation should be achieved without the loss of status. These types of communication strategies, aiming at legitimizing “cheapness”, will be increasingly popular in Switzerland, as well.